« GO AHEAD…CHANGE YOUR STORY! 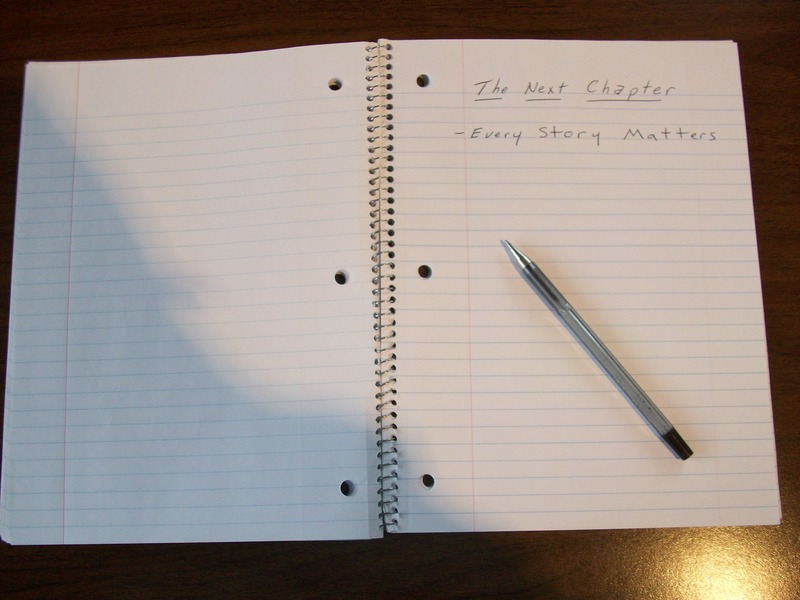 We’re all writing a book, making a movie or creating a play…we may not have a title, outlines, credits, or a table of contents, but new chapters and scenes are being written every single day, and the most exciting part is that it’s a true story. It’s a true story, because it’s your story…It’s Your Life Story! I almost hesitate to offer this quote because it’s been used so often, but Shakespeare knew what he was talking about when he said “All the world’s a stage, and all the men and women are merely players”…he was right! Everything we do is a permanent scene in the story of our life, and it will have permanent impact on someone else. Have your ever read a great story, or watched a movie that impacted you so much that you couldn’t get it out of your mind? Has a particular story actually changed your perspective, or maybe even changed your life?… What if each of our stories are suppose to do Just That…Change Someone’s Life. I mean, when you think about it, why are each one of us living our stories anyway, other than to impact, influence, and relate to other people. I don’t know about you, but when I think of my actions that way, it makes me want to think twice about what I say, how I act, or even the expression on my face, after all…I could change someone’s life. As I have made a major life change in the past 3 days, I’ve been reminded that we are always having impact. When you move from one chapter to another chapter, people will tell you things about your impact on them that they would never say during the course of your relationship otherwise, it’s almost like they’re at your funeral saying good-bye…it’s kind of un-settling actually. As I begin this new chapter in my story, I am very aware that I am the author…I’m not in control of what happens to me, be I am in complete control of how I respond to events, circumstances, and the people in my story. I plan to be very Intentional about the impact I have on everyone I interact with. Like many of you, I am in the process of Changing My Story, and when You Change Your Story…You Change Your World! Looking forward to see it all unfold my friend! Looking forward to seeing what happens for you in the weeks and months to come. I’m in your corner, my friend. Kent Julian recently posted..Is Faith A Key to Success? Cindy, Thanks for your response…I know you’ll laugh at this statement but here it goes “I’ll have to give you a call sometime soon” LOL I really Will! Thanks for your encouragement, you are an amazing inspiration, even when your not aware of it. Your page’s wp theme looks crappy. You schould change it. Better graphics means more conversions, faster load and greater confidence of visitors.